Home > Blog > Cheers! 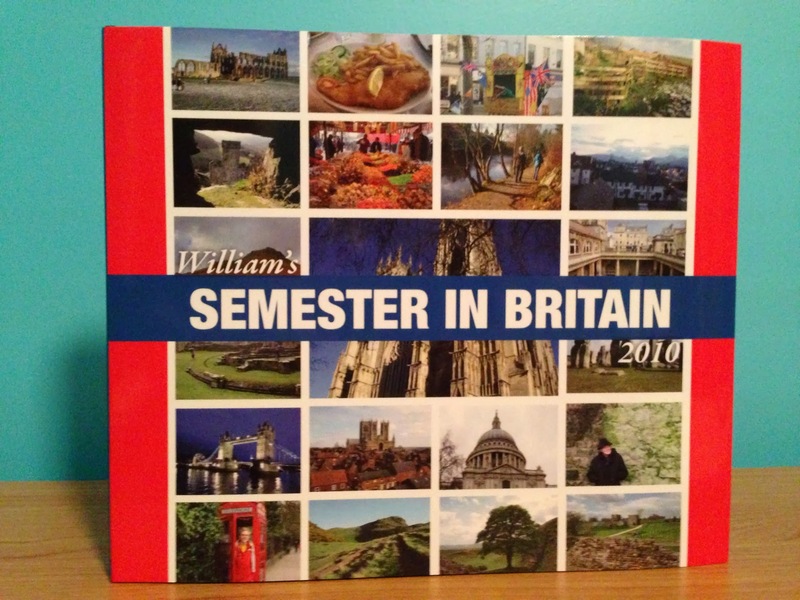 William’s Semester in Britain 2010 book is finished. It is finished. Finally. 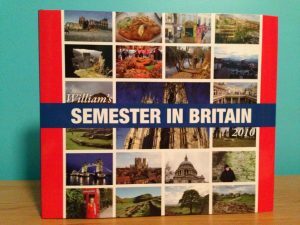 After three years of working on this book on-and-off — and sometimes really off (I think the longest I didn’t touch it was for an entire year) — I finally finished and — am proud to announce — published my book: William’s Semester in Britain 2010. 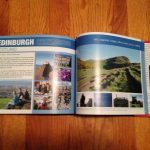 I used the amazing Blurb.com and InDesign. I have published a few small books through Blurb before, but none quite like this 108-page hardcover. Blurb let me have as much creative license as I wanted — the design is entirely all my own; I started from scratch. 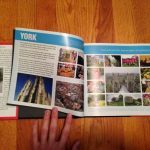 The size of the book (about 8″ x 10″) was the only thing really set by Blurb — but they even have a few of those to choose from when you start. I even designed the dust jacket. How did I keep track of it all? Google Docs. A massive spreadsheet. It told me where the captions, blurbs, photos, taglines, quotations — everything — should go. 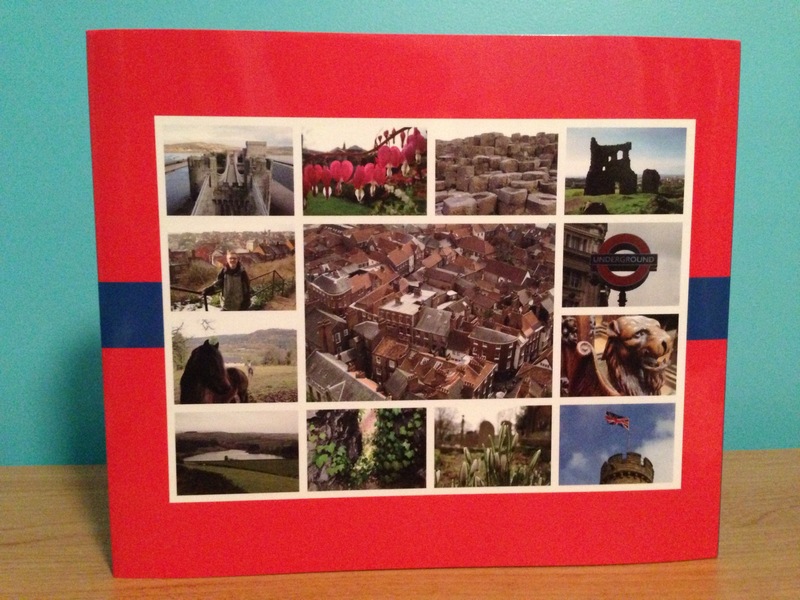 Well, I am hopelessly sentimental about my semester in Britain. If you know me well, you know I’ll bring up stories from my semester in Britain at some point, and frequently. 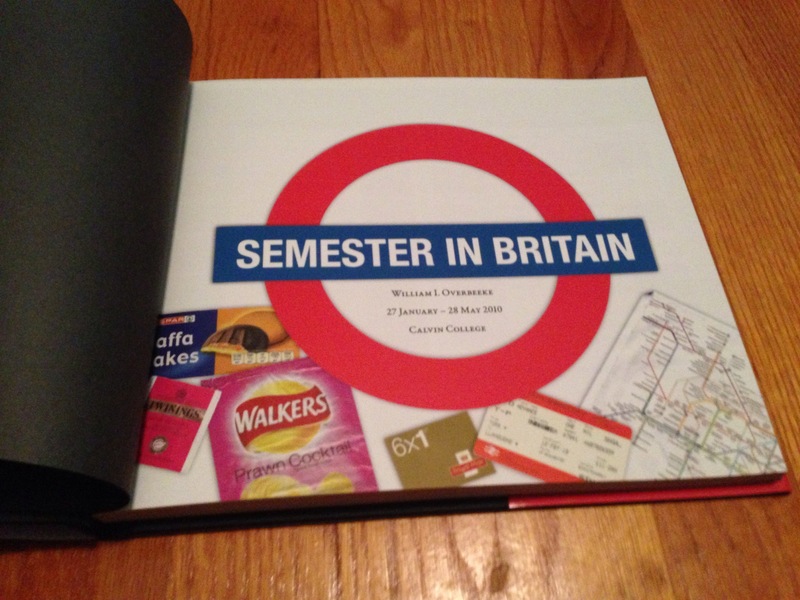 And, as I mentioned, I worked on this on-and-off since the summer after my semester in Britain. My life has gone in a lot of ups and downs since then, but this was a project I could always come back to and chip away at in my free time. And since I’ve been semi-employed as of late, I’ve taken the time to do the final push to publish. I find that when I have an experience that affects my life deeply, I have a need to create. The book is so important to me because it involved a lot of things I like to do, all in the realm of “graphic design”: curating my photos — whittling them down to some 600 out of about 3,000 I took — and writing and editing copy about each place, in my own words, distilled from my lengthy journals and commonplace book. 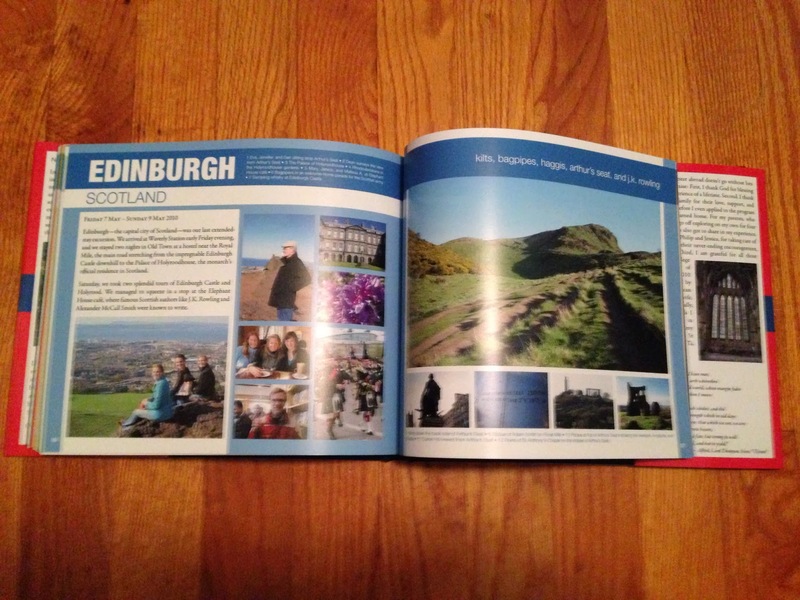 It also took quite a bit a Internet research, flipping through books and brochures, and help from family and friends. I also gathered quotations from each of the works we studied in our British literature class and other famous and favorite British authors, incorporating where they seemed appropriate. The spreads are pretty minimalistic, as I wanted to put the emphasis on the photos and copy, but the idea of the thick bar at the top of each page — even as it changes color scheme and palette across different places — is like a line carrying you through my story. It was inspired by the bar that goes across the circle on the London Underground roundels. I chose each color palette based on the mood and impression I got of each locale. I even gave the palettes names (just for the fun of it), like Union Jack, Lucky, Rainy Day, Muddy Moor, St George’s, and Brilliant. In my opinion, nothing beats the physical copy of the book, which I now hold near me, but you can get a simulation of the entire book online. Here’s the description of the book as I wrote it for my Blurb.com preview, which you can also see embedded below. 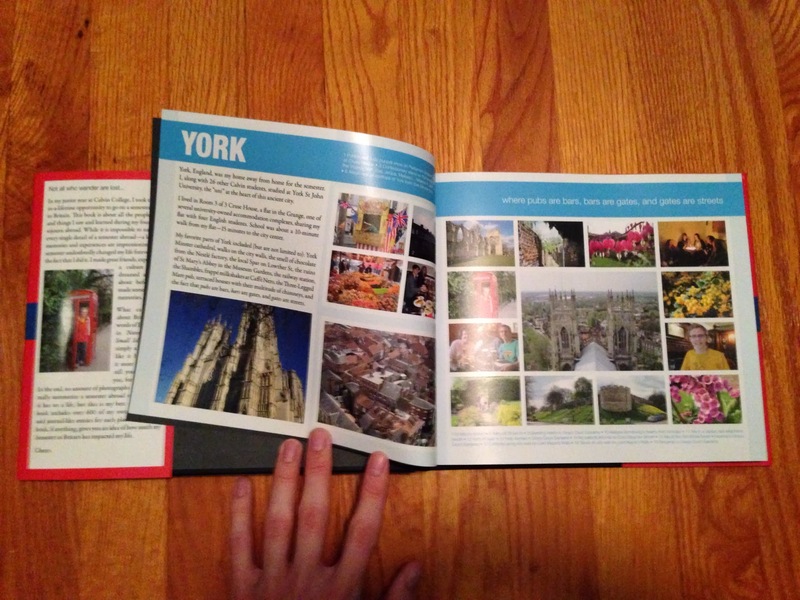 This book chronicles William’s Semester in Britain in the spring of 2010, through Calvin College (Grand Rapids, MI) and York St John University (York, England, UK), including over 600 of his own photographs with detailed captions, and complete with journal-like entries for each places visited. One spread pinpoints each of these locations on maps. 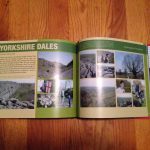 A good chunk of the book also covers William’s spring break (a generous 3-week period) travels outside the United Kingdom, to Italy, Ireland, and the Netherlands. 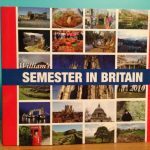 Quotations and passages from the novels and poetry of famous and favorite British authors, including those studied in the program’s British Literature class, are interspersed throughout the book. Here’s a general shout-out to Google — especially Docs and Maps and Images — for helping me do the small research bits and looking up things I did not know or forgot. I’d also like to give a special thanks to my sister, Jessica, and my friend, Nat, for being my top 2 proof-checkers. You helped me catch most of my mistakes — and I know I didn’t catch all of them (I’m only human), and helped with all other things grammatical and typographical. Thanks, too, to my cousin Marjan, and my mom, for identifying as many of the flowers and plants as possible. And thanks to Blurb.com for making this possible in the first place. 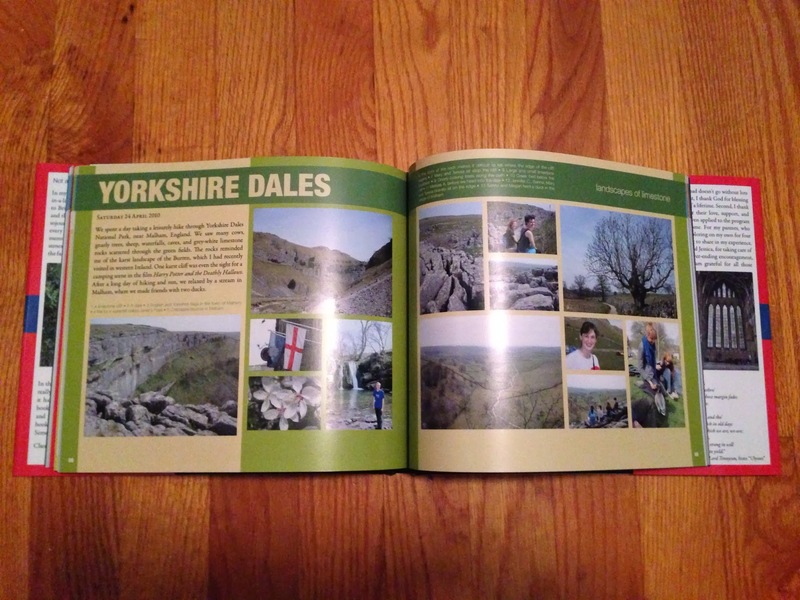 My book turned out beautifully. I’ve been working on it too long. It seems surreal to be holding it in my hands.